From a few “mix and match” pieces to a convertible dress, this packing list will keep you stylish and your luggage light. Packing for a trip is becoming a more daunting task each year, particularly for us ladies. From fluctuating airline luggage fees and weight restrictions to unpredictable climates around the world, it’s hard to know what should go and what should stay from your fabulous fashionista closet. But don’t despair, you can still pack smart and stay stylish on the road. The first trick is to take “mix and match” items. The more your items work well together in color scheme and style, the less you’ll have to take. The second is to include pieces with “mileage” or versatility. You should be thinking – How many ways can I wear that top? A closet staple, tank tops help create several outfits in no time. They’re perfect for that “layered” look that is so essential for travel. 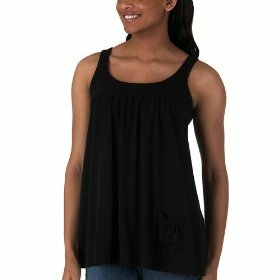 A couple of black tanks and white ones are a must, as well as some in bright colors such as orange, red or blue. 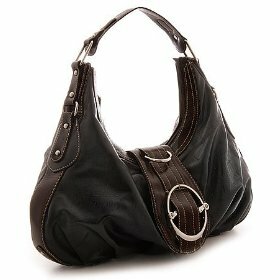 Whether spaghetti-strapped or tee-style, they can transition your casual day looks into night party looks. Dresses are a jet-setting lady’s best friend. They’re easy to slip on, dress up or down and frankly, save time. Jersey and satin fabrics are best, as creases disappear fast once hung in the closet. Pack an “all occasion” black jersey dress – one that works for any event from lunch to a night out. A convertible dress works even better, giving you multiple looks for multiple days! Add a couple of other dresses in solid colors for a wider selection. Decades later, the tunic trend is still going strong. It’s really no surprise. Tunics are amazingly versatile pieces- they can work as a top over capris or pants, or as a dress. Some can even be lowered and worn as a skirt. Now that’s mileage! A couple tunics in solid colors is essential so you can mix and match with your bottoms. Remember to pick jersey and satin fabrics. Three-quarter sleeve or long-sleeve cropped cardigans will protect you from that blast of cold air in-flight, dreaded air conditioning at the movies or the surprise “cool” breeze on a night out. Plus you’ll look oh-so-European-chic. There are as many black pants as there are black dresses these days. But the key is to pick a pair that can work for all occasions. Whether a casual dinner or a night at the theater, a pair of chic, form fitting black pants can save the day. Throw on a silk or jersey tunic and you’re out the door! 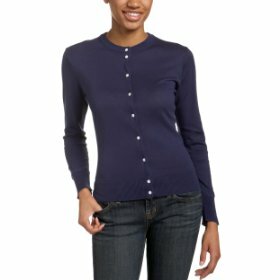 These are flattering for most body types and work great for mixing and matching with your tops. Take along one or two pants in primary colors or throw in a denim capri piece for low maintenance mileage. It can carry you through spring, fall, and even early winter. It smartens you up in seconds and is perfect for those cool nights where a cardigan simply won’t do the trick. You may not be headed to the tropics, but you never know when you’ll run into an indoor heated pool, spa, or sauna. Why risk not being prepared? You need to pack three pairs of shoes: one pair of dressy flats, one pair of flip flops and one pair of heels. 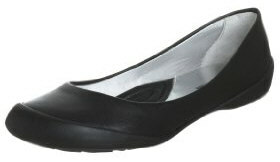 Black leather flats will work with any outfit – shorts on a hot day or a black dress for a night on the town. Thong flats in particular can pull your look together fast. For cooler climates, opt for ballerinas. A pair of solid colored flip flops are also a must – you can wear them at the beach or indoors at the hotel. They can even carry you through a day of shopping if you’re headed to a beach town. Pick a pair that’s casual without being too “beach-looking”. To heel or not to heel? I say a pair of black heels is a must. Stilettos add spice to a night of dancing or a dinner with that hot guy you met on the road. After all, travel is supposed to be fun. Limit yourself to one pair of either black pumps or slides and stick to 3 inches or less. The three must-have accessories are a pair of cute affordable sunshades, a fabulous hobo bag small enough to make you look like a local yet big enough to fit your belongings and a versatile belt to add some “oomph” to your outfits. For jewelry, stick to two pairs of fashion earrings, two bracelets and you’re good to go! If by some misfortune you’re headed toward miserably cold weather, add a black or cream three-quarter length wool coat, two to three sweaters and of course, your favorite pair of jeans.